Punishment for out-of-control government agents! "Not yet. The floor’s still wet." The biggest gun show in the state. Meet me there Sat, get autographed books, questions answered. I'll be giving a talk around lunchtime at the food court. The National Gun Rights Policy Conference! The biggest open-carry event of the year, join fellow members of the AzCDL as we gather, break bread, go over association business, and have a generally wonderful time. This event sells out every year so reserve your seats early. "The open carrying of holstered firearms during the meeting is appreciated." Excellent gun raffles, silent auction, much more. It is rumored The Cartridge Family Band will appear to bore and offend the attendees. The band wishes to remind everyone firearms must remain holstered, no matter how poorly we perform, and that, according to Dutch TV, we're the most heavily armed band they have ever recorded and broadcast. "Spreading peace and freedom through music... and threats if necessary." The ACLU invites you to an engaging talk about the Bill of Rights by local attorney and author Robert J. McWhirter, for the annual commemoration of the signing of the U.S. Constitution. Bob will highlight his new book, "Bills, Quills, and Stills: An Annotated, Illustrated, and Illuminated History of the Bill of Rights." He'll take questions and sign copies, which was published last month by the American Bar Association. 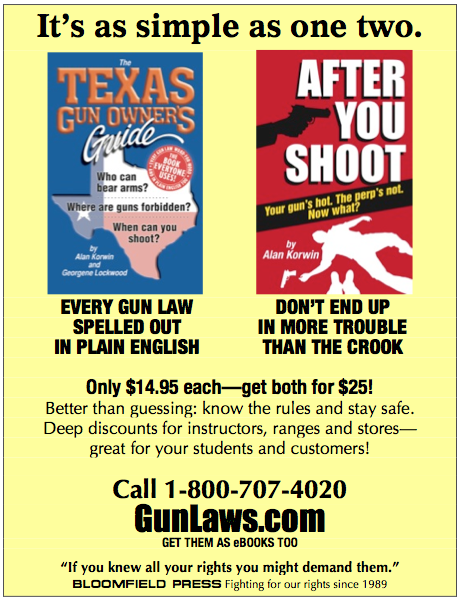 Friday, Sept. 18, 7-8:30 p.m.
Texas Gun Laws Improve Again! 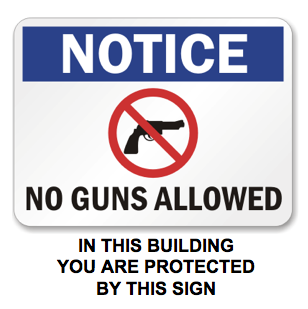 For falsely denying your right to carry by posting signs, government can now be punished. 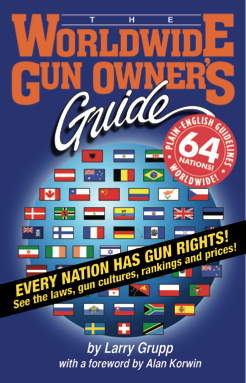 Small steps in the right direction add to the 8th edition of The Texas Gun Owner's Guide. Download a printable update for edition 8 to put in your book. Download a printable update for older edition 7 to put in your book. Penal Code §46.05 Prohibited Weapons was amended to make it clear that Type II NFA weapons (full-autos, short-barrelled long guns, silencers and explosive weapons), are legal as long as they’re properly registered with BATFE. The bad idea of “affirmative defense,” where you might have to defend innocent possession of these in court was repealed. Parts of the law were renumbered. 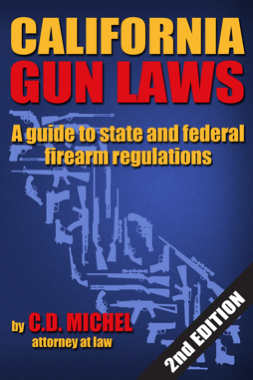 SB273 Ban on Excluding Lawful CHL Holders—Government Code §411.209 makes it illegal for any state agency or political subdivision to use any form of the §30.06 no-guns-allowed notices to keep CHLs out, if CHLs aren’t really banned from entering (as some prejudiced bureaucrats have been doing). Violations make them liable for penalties that can exceed $10,000 per day, under rules spelled out in the law (violators must get written notice, with evidence, time to cure the violation, the attorney general must investigate, and act, more). Any citizen can file charges, and all costs are recoverable. Basically it means officials will have to stop the vile practice of posting false signs to illegally deny your civil rights. 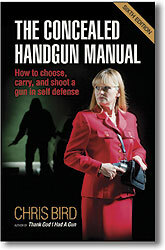 SB273 is comitatus law, law with teeth, so it sets controls. Government Code §411.209 is written the way laws should be written. (see, for example, the posse comitatus law). 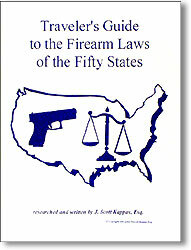 Many laws should be comitatus. We have the Texas State Rifle Assn. for accomplishing this important victory. UNLESS IT'S LEGITIMATE, OR ELSE. FINES FOR VIOLATIONS CAN EXCEED $10,000 PER DAY. Penal Code §46.035(c) Unlawful Carryhas been amended to limit its effect, so only the room(s) where a government meeting is taking place, not the entire facility, are restricted to CHL carry, and then, only if the meeting is an open meeting subject to open-meetings law (Ch. 551), and proper notice was provided. HB554 CHL Tolerance at Airport Gates—Penal Code §46.03(a)(5) has been amended to help people who show up at airports with their CHL sidearms. 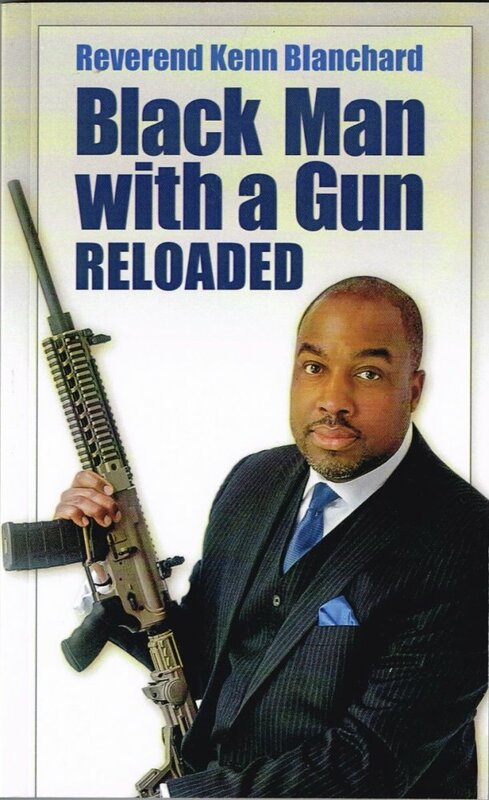 It is a defense to state prosecution if you show up at airport gate security carrying a firearm legally under a CHL license, if, once it’s detected, you leave the gate area immediately after the screening. A peace officer cannot arrest you if you comply but can if you fail to comply. Caution: Doesn’t affect TSA agents. HB905 Preemption of Knives—Local Government Code §229.001.Knives are added to the preemption list, things municipalities have no control over the transfer, private ownership, keeping, transportation, licensing, or registration of, including firearms, air guns, ammunition, firearm or air-gun supplies and more. LGC §§236.001, .002 definitions are updated. SB11 Campus Carry—Effective August 1, 2016 for some institutions, details coming soon. HB910 Open Carry—Takes effect Jan. 1, 2016, complex, contentious, and like campus carry, it will take some settling in and a shakeout period. No sense in becoming a test case. 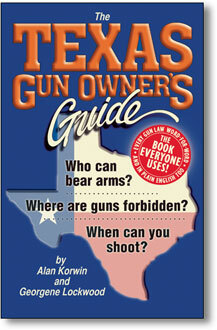 Get the gun laws in plain English: THE TEXAS GUN OWNER’S GUIDE, only $14.95 +$4 S&H • eBooks TOO! Now look, financial penalties for a government agency aren't exactly the kind of stiff penalties we'd like to see for government malfeasance. After all, that's our tax money they're being fined! But it's a huge embarrassment, and it cuts their budget, and it's a stinging slap, and it's a court order, and (hopefully) it's enough to prevent them from doing what they're BANNED from doing. Most of all -- it's a good first step. It recognizes that laws against government must include penalty clauses, the same as laws against the public. Anything else is fraudulent and deceptive. Feckless laws are intolerable acts.We're talking here about deliberate, intentional, knowing denial of fundamental civil rights under color of law. How bad does it have to get? Are these perpetrators simply hoplophobic? They should seek help. They should not be exercising power. If your legislators refuse to support comitatus laws they are corrupt, do not represent your interests, and should be removed from office -- or worse. This is the worst kind of civil-rights discrimination. And these "officials" in Texas have been doing it to law-abiding citizens for years. And getting away with it. They have been laughing at us. They deserve to be in prison as badly as any person who refuses to serve black people at a lunch counter. The media looks the other way, officials ignore it. Polite society won't even discuss it. Now it ends. Punishment is what puts teeth into law. Bureaucrats and politicians take notice. Comitatus law is coming your way. 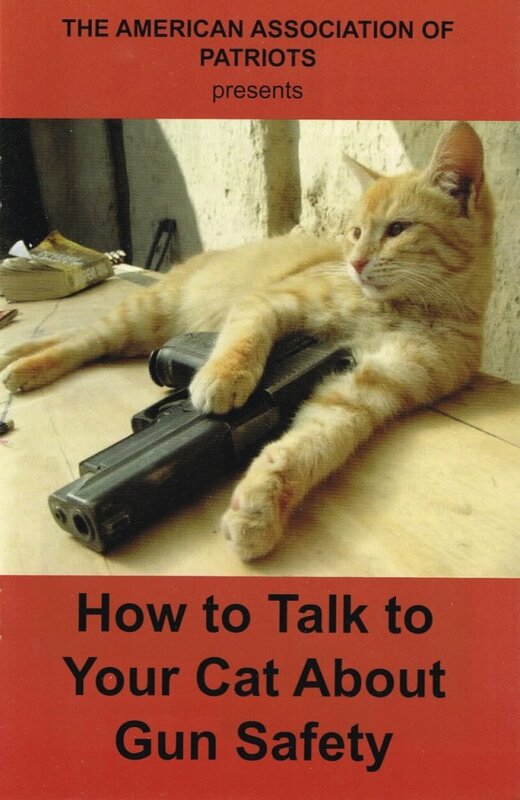 Only $14.95, cheaper than a lawyer. 1. Find ALL innocent gun owners. 2. Put every one on a government list. 3. Compile records on every gun they own. 4. Call it a "universal background check." If they win, America loses. Listing the innocent is expensive, diverts critical and scarce law-enforcement resources, and doesn't affect criminals. The question reporters should be asking -- but aren't -- have the background checks stopped any criminals from arming themselves? We know regular people have been denied their constitutional right to arms by the system, without trials, due process, confronting witnesses, representation, even hearing the charges against them. Before blindly promoting cries for more checks, reporters need to ask: So why aren't denied people arrested? 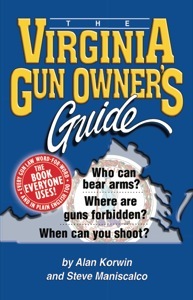 Isn't it a crime to buy, or even try to buy a gun if you're prohibited? Of course it is. It's just that the system is not that good. It's good enough to deny you your rights, but nowhere near good enough to dispatch police, make an arrest, build a solid case, bring you to trial and get a conviction. Why? Most people stopped are guilty of nothing. And murderers just go shopping. Or shop elsewhere. What a scam. Mass murderers promoted (yes, promoted) by the media went through the check, or got their guns elsewhere. None of this appears on the “news” channels. They're all busy showing the public (and potential copy cats) the smiling face of murderers. DO THE CHECKS ACTUALLY WORK? The media wants you to believe the Brady bill background check has somehow succeeded in disarming criminals, because (they say) two million firearms transactions have been prevented. Right. 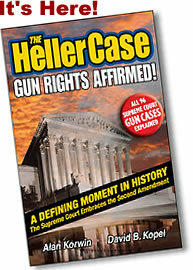 What that really means is that, without due process, formal charges, a trial, representation by an attorney, right to confront witnesses -- even an explanation for the denial of your specific enumerated constitutional right -- an unelected low-pay bureaucratic clerk sitting in front of an FBI government computer in Clarksburg, West Virginia prevented an American from exercising the right to obtain a firearm. Was the person denied actually guilty of anything? Was the denial legal and proper? Was anyone punished for wrongfully denying a person their civil rights? We don't know, we don't know, and absolutely not. Was an actual criminal denied and arrested by this so-called background check process? Nope. Sorry, that's not how this works. Some John Smith, Tyrone Jackson or Jose Rodriguez whose name got into a computer just had their rights denied, case closed. Rights denied. No one in government asks this. None of your representatives asks this. No republicans, no democrats, no bureaucrats, no candidates, no reporters, nobody asks this. The Uninvited Ombudsman asks this (here and elsewhere). Anything less is tyrannical. Two reporters are shot in Virginia, and get wall-to-wall news coverage that day. The same day, 16 blacks were murdered in ghettos, but no national news reports appeared, justifying the controversial headline of this news brief. The next day, 16 blacks were murdered in ghettos again, but no national news reports appeared, even though the two white reporters commanded major news coverage everywhere, justifying the controversial headline of this news brief again. Blacks were the murderers in both cases. The next day, 16 blacks were murdered in ghettos yet again (all based on annual national averages), but no national news reports appeared, blah blah yada yada do wah diddy diddy. According to leading national experts, this shows black lives don't matter as much. The movement with the similar sounding name seems to be a rebirth of the ole Black Panthers movement, for the same underlying causes. Gun owners demand the arrest and punishment of the murderers, because they are dangerous murderers, and are hurting our gun rights, but are ignored. Left-wing anti-rights zealots demand making lists of everyone who buys a gun, because two reporters were shot by a madman, but are ignored. Go figure. TEXANS ARE NOW PROTECTED FROM BOGUS "OFFICIAL" POSTINGS. for when the signs are posted in defiance of law. should be ashamed of themselves and removed. 6. Socialism Plans To Win. Get yours now and you'll get the free 2015 updates. USA Today--Jubilation as Austria, Germany Open Borders: Thousands of migrants arrived in Austria and many more were heading there on foot Saturday as European countries broke a stalemate and began finding ways to take in the masses of humanity... The migrants are mainly from Syria, Iraq and Afghanistan and have endured hardships... Arabic-speaking translators were also on hand to help at emergency registration centers... tens no hundreds of thousands, more coming, statistics upon statistics... where were they all last week, month, year... it doesn't say. Luay Al Khatteeb, at the Brookings Institute gets it right when he notes in the same piece that the Gulf states "may" fear destabilization from a major influx of migrants. "When they enter any country, they will bring with them all the reasons why they left." So they're not taking them. They're letting them go to Europe, much further away. And it, uhh, helps the caliphate. Shhh. This of course is EXACTLY what the United States is experiencing from the influx of illegal immigrants across its southern border, unchecked for more than a decade. The migrants know it. Their domestic supporters inside government and out know it. Voting is shifted. Culture is shifted. Economics shift. Citizens are screwed. ISIS and muslims everywhere know that the wars in the Middle East are a good thing, if all they do is drive hundreds of thousands of other muslims to pollinate Europe in one fell swoop. The millennium-old muslim dream of a global caliphate moves a giant leap closer, with limited bloodshed and tragedy, just people dying along the road and washing up on shores, to elicit sympathy, and funding. They may not want to admit it, even to themselves, but every single one has had that thought. Just like you. What will Europe do with these teaming masses, yearning to be... islamic? Many unskilled in employable western ways, insular thanks to language and culture, an economic drag on the economy, despite politician's pipe dreams otherwise: (Angela Merkel, Germany -- "As a strong, economically healthy country we have the strength to do what is necessary," but then she does promise that every asylum seeker, "gets a fair hearing," whatever that means; how long can their strength last? How do Germans feel paying for that? If you wanted to establish a caliphate, destroy Western culture, take over Europe -- the heart of your enemy -- how better than to send endless hordes of refugees there, with the ignorant political infrastructure welcoming them, instead of forcing them back to their allied countries -- who reject them for the same reasons you should. Enjoyed the entire Page Nine, as usual. Thanks for your hard work. Your skill at getting the point over is certainly a blessing, and I know that, agnostic or not, you don't believe that you are responsible for how adept you've become at confrontationally addressing all who continue their attempt (with much $ and media sensationalism) to take away our basic rights. So, God bless you and your family! I especially appreciated the NYT write up. It's about time you got deserving publicity. I mean, what's a liberal mind going to do to say after learning about Alan Korwin, except, maybe, "Profanity, profanity, why can't MY brilliance get that kind of coverage. Profanity." So, keep up the good work (continue writing), and continue making our stand for freedom beyond dispute. 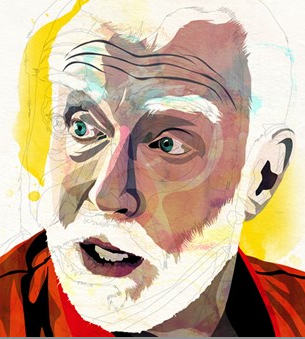 And, finally, as millions will agree, the "Alan Korwin Experience " is the highlight of Armed American Radio. 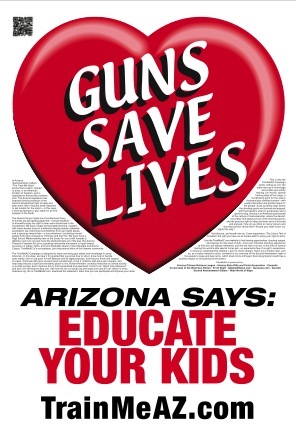 Sincerely, Mike G. [I asked Mike about the New York Times reference, haven't been in there for a while, he meant New Times, http://www.phoenixnewtimes.com/news/gunslinger-alan-korwin-has-made-a-career-pushing-unbridled-gun-rights-but-critics-say-he-doesnt-shoot-straight-7363406. The article has a nice handful of errors, but overall it's pretty good. I have to say my earlier note was an emotional one and I haven't been doing the best job of taking gun violence in stride. I have no idea what the solution is to gun violence, but America continues to lead the industrial West when it comes to shooting it out. I think one step in the right direction would be an extension of the castle doctrine to allow shooting anyone open carrying an assault rifle. [emphasis mine. Alan.] That would be an interesting court test. If you see a couple of people carrying assault rifles openly, you could argue convincingly that they needed killing. This is based on experience with people openly carrying assault rifles in public places who were perfectly within their rights until they pulled the trigger. Actually, I think this would be very appealing to folks like you. It would be taking us back to something more like the Old West which is the keystone of our shoot first and ask questions later culture. By the way, of all the people I have asked why they carry concealed weapons, they all reply it's for protection. When I ask the same people if they wear bulletproof vests, the answer is zero. ps if you are concerned about protection, why would you not make a bulletproof vest your first choice? Like police officers? 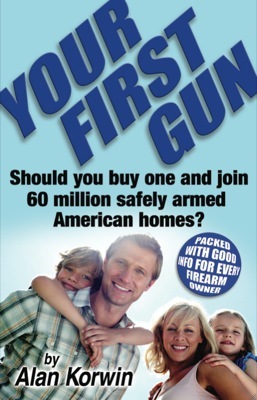 A bulletproof vest will have fought off the first attack, giving you time to reach for your own Glock. -Bill S.